Last week brought a mixed bag of economic news, but most notably, average mortgage rates fell. New home sales surpassed expectations and consumer sentiment rose for July; these readings among others suggest that the economy continued to improve and that consumer confidence in the economy improved as well. Monday: Existing home sales in June were reported at 5.08 million on a seasonally-adjusted annual basis. While this fell short of expectations of 5.25 million existing homes sold, the expectation was based on the original reading of 5.18 million existing homes sold for May; this was later revised to 5.14 million homes existing homes sold in May. Tuesday: FHFA reported that May prices for homes with mortgages held by Fannie Mae or Freddie Mac remained consistent with April’s reading of a 7.30 percent increase on a seasonally adjusted annual basis. Home prices rose by 0.70 percent in May as compared to April’s revised reading of 0.50 percent. Wednesday: The U.S. Census Bureau revealed that June sales of new homes came in at 497,000, which surpassed both expectations of 483,000 new homes sold and May’s reading of 449,000 new homes sold. Thursday: Freddie Mac reported that mortgage rates fell last week; the average rate for a 30-year fixed rate mortgage fell by six basis points to 3.31 percent with 0.8 percent in discount points. The average rate for a 15-year mortgage was 3.39 percent with discount points of 0.8 percent as compared to last week’s report of 3.41 percent. Average rates for a 5/1 adjustable rate mortgage dropped by one basis point from 3.17 percent to 3.16 percent; discount points moved from 0.60 percent to 0.70 percent. In other economic news, June’s report for Durable Goods Orders nearly doubled to 4.20 percent over expectations of 2.30 percent. Friday: Consumer Sentiment for July rose to 85.1 as compared to expectations of 84.0 and June’s reading of 83.90 percent. That consumers continued gaining confidence in the economy could indicate that more would-be home buyers will become active homebuyers seeking to buy amidst a short inventory of available homes. Readings for several significant economic and housing related indicators will be released this week. Pending Home Sales are due out today; Tuesday brings the Case-Shiller Home Price Index and the Consumer Confidence Index. Wednesday’s news includes the ADP report (useful for tracking private sector job growth) and an FOMC statement after its meeting ends. Fed Chairman Ben Bernanke is also scheduled to give a press conference Wednesday. As always, any remarks concerning projected changes to the Fed’s quantitative easing program (QE) could impact financial markets and mortgage rates. On Thursday, construction spending data will be released in addition to Freddie Mac’s weekly report on average mortgage rates. Friday’s news includes several employment-related reports. The monthly Non-Farm Payrolls and Unemployment report will be released; collectively these two reports are frequently called the Jobs Report. 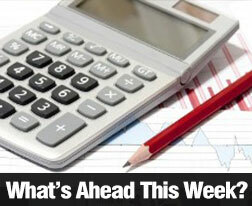 Data on personal income and consumer spending will round out the week’s economic news.